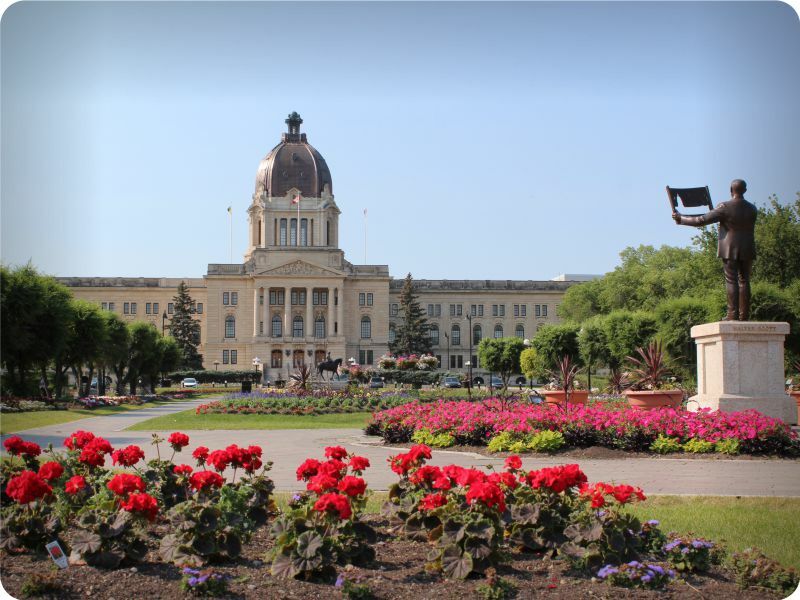 Location: Historic Sites of Wascana Tour begins and ends at the Saskatchewan Legislative Building, 2405 Legislative Dr. parking lot (on Ave A just east of the Saskatchewan Legislative Building). 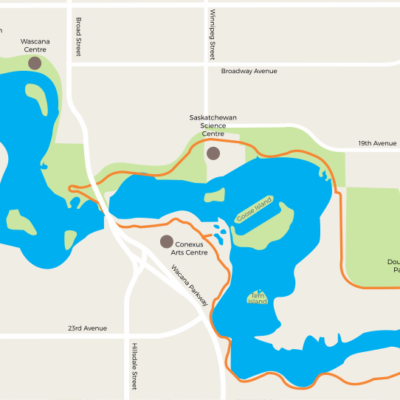 Tour highlights includes the Saskatchewan Legislative Building, the Queen Elizabeth II Gardens, Albert Street Memorial Bridge, Pine Island as well as many picturesque moments around Regina’s beautiful Wascana Lake (4km loop). 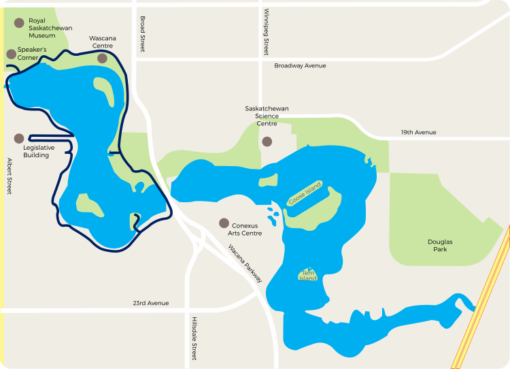 More leisurely ride due to high traffic areas, sloped terrain, and lots of turns.